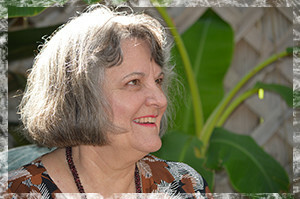 Early on, Robin Heart Shepperd, D.C. was a seeker committed to her personal and professional transformation. Compassionate Clearing ® was created through the combination of her immense life experience, personal growth and education. As a child, she began her life’s work as a healer, rescuing baby birds and nursing an injured cat back to health. Later, she trained in polarity therapy and massage, and studied nutrition. She returned to college and graduated from Texas Chiropractic College as a holistic chiropractor in 1984. Over the years, it was apparent to her that people’s physical issues were linked with their emotional issues, and that often, a combination of both physical and emotional healing were necessary to completely heal an ailment or recurring problem. Not a psychotherapist, she looked for new ways to facilitate healing in others and discovered a variety of exciting energy clearing methods. 1990 She worked with Rick Moss, PhD. on verbal processes with clearing statements. 2003 She trained to become a facilitator for Access Energy Transformation and developed the facilitator-training manual. 2006 She studied with master clearer, Eric Dowsett. 2008 She began studying Gary Craig’s revolutionary system, Emotional Freedom Technique (EFT). 2011 She studied and trained for certification through Dr. Brad Nelson’s Emotion Code and his Heart Wall work. Her studies and practice continue to expand and develop, as she is always learning. Use of these skills expanded her ability to aid others in their personal healing and desire for a higher consciousness. Her strongly developed intuition assists in the process. Dr. Robin is deeply honored to facilitate clients in releasing non-useful patterns to awaken into higher consciousness and transformation. It is her passion. If not in this lifetime, then when?